Check the end of this post for details on a giveaway of Violent Ends. 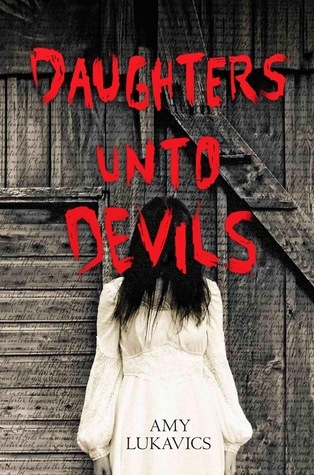 Daughters Unto Devils by Amy Lukavics – Yikes. Let me start out by saying that while I love horror stories, they don’t generally scare me. I can watch The Exorcist before bed and sleep just fine. But Daughters Unto Devils freaked me out. Part of it’s the story’s setting. It’s so remote. Think Little House on the Prairie, when Laura and her family first arrive on the plains and are forced to exist all on their own. Only, throw in visions of the devil, unwanted pregnancy, some seriously unnerving neighbors, and a cabin that looks like it’s scene a massacre. Intrigued? Daughters Unto Devils protagonist Amanda Verner is such a compelling character. The story opens with her “laying” with the post boy, an act which is unquestionably against her family’s religion and moral code, yet Amanda is unapologetic, which immediately endeared me to her. She’s not always easy to like, though — she wishes her little sister dead, and prays to lose the baby growing inside her. She’s also having visions and hearing strange sounds, reasons to question her sanity and reliableness as an narrator. Still, she’s strong and spirited and smart, and by the story’s end (when lives were literally on the line) I was firmly on her side. Daughters Unto Devils is not for the weak of heart. It’s classic horror, and there are some supremely disturbing scenes, but it’s skillfully written and incredibly entertaining. An impressive debut! 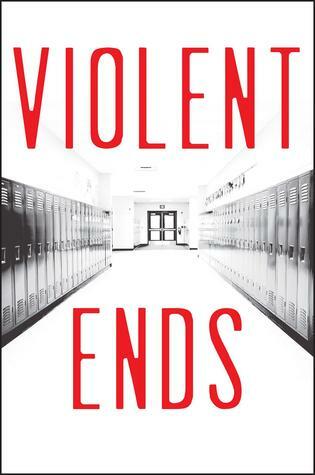 Violent Ends by Shaun David Hutchinson and sixteen other YA authors – I bought this book, about the before, during, and after of a high school shooting, because I was curious (and maybe a little doubtful) about whether or not the many different narrative voices/character perspectives would come together. After reading and processing, all I can say is WOW. What a heartbreaking, poignant, powerful story. It’s SO well done — chill-inducing in many instances. The characters (victims, bystanders, the gun itself) are skillfully drawn and complex, each extraordinarily unique. The writing is top-notch and, against all odds, flows seamlessly. As I read the final line of each chapter, I thought: Surely the next won’t be as good as this, but it always was. Somehow, seventeen writers (including a few of my favorites: Courtney Summers, Beth Revis, and Trish Doller) came together to create a cohesive glimpse into the life of Kirby Matheson, a boy-turned-mass murderer. Somehow, they made him more than his act. Though Kirby didn’t earn my sympathy (how could he possibly? ), he earned my regard, my consideration, my reflection. And his victims, those who died and those who were irrevocably impacted by the shooting, will continue to haunt me. I believe so whole-heartedly in the quality and importance of Violent Ends, I’m going to give a copy away. Anyone who leaves a comment on this post will be entered in a random drawing. I’ll choose the winner in one week, November 6th. Giveaway is open to anyone with a mailing address that The Book Depository will ship to. And if you don’t win? You should run out and buy this book immediately. Tell me… What’s the best book you read in October? I had a slow reading month and most my books were rereads, so best book is a tie between Jandy Nelson’s THE SKY IS EVERYWHERE (hadn’t read it since 2011, and after falling hard for I’LL GIVE YOU THE SUN, I figured a reread was long overdue) and HOW TO LOVE by Katie Cotugno. I reread it to study how Katie deals with dual timelines (for my WiP) and loved the story even more the second time! Ooh, THE SKY IS EVERYWHERE and HOW TO LOVE are among my very favorite contemps. Now I want to reread them too! Have a great weekend, Kaitlin! I am almost to the half-way point of Devils but plan to knock the rest of it out tonight or tomorrow – just in time for Halloween! (Although my top priority is to finish Birdy’s costume or I may have my own devil on my hands.) I also have Love out from the library and I’m really intrigued by Violent Ends. I haven’t read much in October but I am loving LIFE IS GOOD THE BOOK: HOW TO LIVE WITH PURPOSE AND ENJOY THE RIDE. I read a little bit every morning – I’m savoring it! I hadn’t heard about LIFE IS GOOD THE BOOK — now I want to check it out. Thanks for putting it on my radar, Sara. And best of luck with Birdy’s costume! What is she dressing up as? I’ve heard such great things about SLASHER BOYS & MONSTER GIRLS! I’ll definitely keep my eye out for it. Best of luck with the giveaway, Courtney! Marrow sounds great. Wow. I’ll have to check it out. 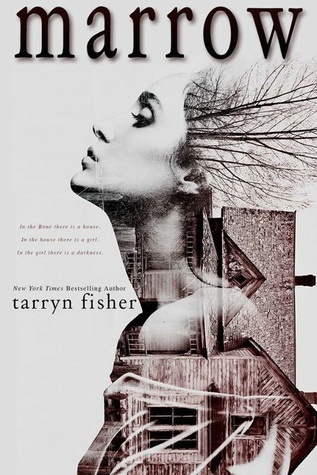 I just read and loved UNDERNEATH EVERYTHING by Marcy Beller Paul – think the intensity/toxic relationship between Anna and Elise in DANGEROUS GIRLS but set in New Jersey and just…senior year of high school. It’s also beautifully written and I think you would like it! UNDERNEATH EVERYTHING definitely sounds like something I’d like, Rachel. Is it out now? If so, I’ll definitely keep an eye out. Thanks for the rec! 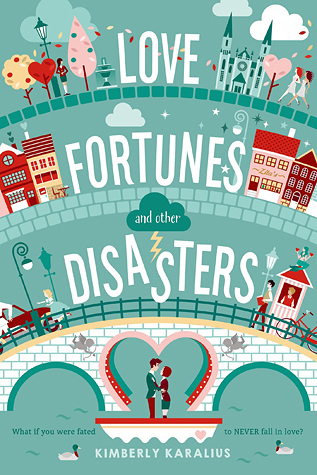 Love, Fortune and Other Disasters looks so cute 🙂 I haven’t heard read any reviews for Violent Ends, so your raving has me very interested to read. As for my fave October read? Without a doubt Just Visiting by Dahlia Adler. A beautiful friendship book, brimming with diversity and all round fantastic. Whole heartedly recommend. I think you’d LOVE it as well! I’ve loved the two books I’ve already read by Dahlia, so I’m very much looking forward to JUST VISITING. Also, I got to meet her at a signing recently, and she’s delightful. Makes me extra happy to buy her books. 🙂 Thanks so much for the rec, Rebecca! I’m so ashamed to admit that I read only *one* book in October. Ugh. It was ORDER OF THE PHOENIX, and I’m a huge fan so that’s okay. 😉 I hadn’t heard of VIOLENT ENDS before, but wow. It sounds like such an important read. I remember reading Jodi Picoult’s NINETEEN MINUTES and being completely bowled over by it. I’ll definitely be reading this one. Thanks for the rec! I loved NINETEEN MINUTES, Jaime. VIOLENT ENDS is a different take on school shootings (really fresh, in my opinion) but it’s got the same emotional impact for sure. I hope you enjoy it!